The Indian community in Israel is overjoyed and proud over the extraordinary welcome accorded to Prime Minister Narendra Modi with many saying they have not seen such a reception even for American presidents. 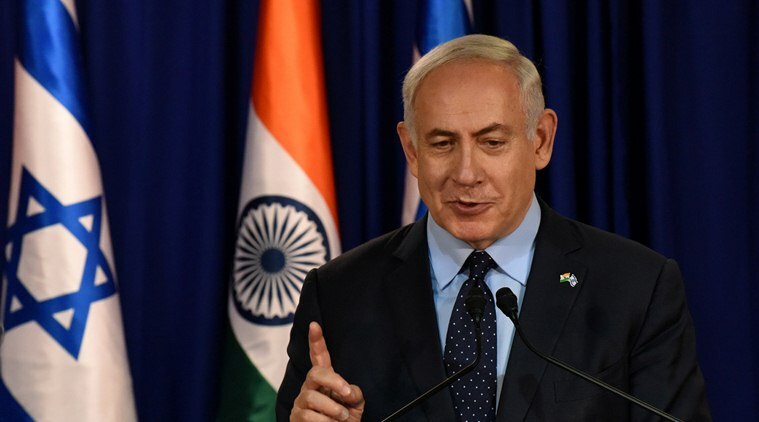 TEL AVIV: Calling the India-Israel ties "a partnership made in heaven", Israeli Prime Minister Benjamin Netanyahu, during a community event, described the Indian Jews as a "bridge" between the two countries and expressed his admiration towards the people. Addressing around 5,000 Indian origin people in Tel Aviv, Netanyahu said, "Prime Minister (Modi) and I have decided on a vast programme to bring our partnership to new heights, but we always remember that there is a human bridge between us - you. We admire you, we respect you, we love you and here is what is happening today." "We have decided to cooperate in so many areas, but there is really one area that really guarantees the future and PM Modi speaks of it all the time, it's the young people, the young people of India and Israel," he said. "These are the Jews of India, they love Israel, they love our friendship and we are in a historic meeting, two ancient people ceasing the future," he added. Before the joint address, several cultural programmes were also held at the Tel Aviv Convention Center in which prominent playback singer Sukhwinder Singh performed before the audience. Dancers waved Indian and Israelis flags and the audience was in high spirits, frequently cheering and chanting "Israel" and "India".